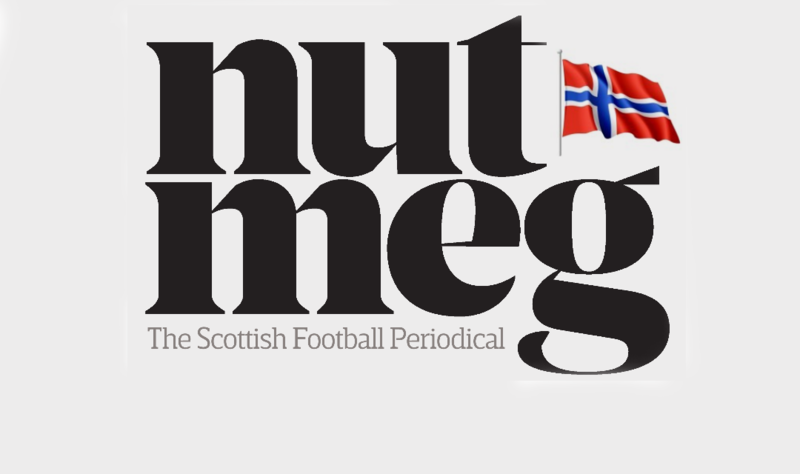 Scotland’s top football periodical Nutmeg recently included a fascinating article entitled – Stenhousemuir and Norway: the ties that bind. They have kindly given us permission to reproduce that article on this website. 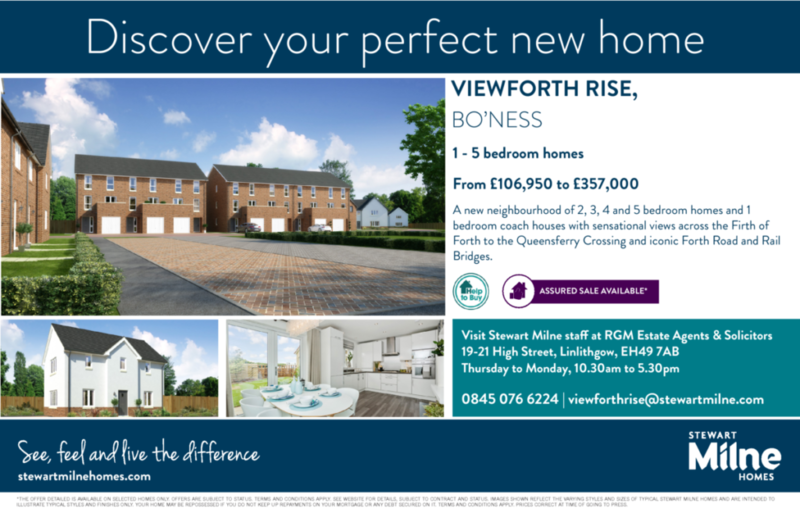 A big thanks to the team at Nutmeg, and also to the author of the article Mark Godfrey. 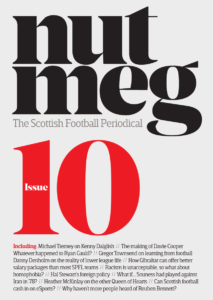 First published in Issue 10 of Nutmeg: The Scottish Football Periodical. Norwegian football fans generally follow the usual suspects: Man Utd, Liverpool, Arsenal. Not all. It’s funny the things you can retrieve from the dark recesses of your mind. I have a vague recollection of watching an unusual item on the BBC’s Football Focus either in the late 1990s or early 2000s about a club which probably hadn’t featured on the programme before, and likely haven’t since. As an ignorant youth from England, I had little to no knowledge of Stenhousemuir. I certainly couldn’t point to it on a map; I could barely have told you where to find it on the pools coupon. The report in question was about a bunch of Norwegian men that had taken the town’s football club to their hearts and formed their own supporters’ club, diligently making the trip across the North Sea to the Central Lowlands of Scotland. They were few in number and painted as eccentric, which is unsurprising really given the proclivity of Scandinavian football fans to gravitate towards the big English clubs, particularly Liverpool, Arsenal and Manchester United. So what exactly was it that attracted them to Stenhousemuir, a small club on the periphery of the Scottish league scene? Many lifelong friendships have been formed since the supporters’ club was born back in early 1993; Mathisen himself has fallen in love with Scotland and, along the way, even found romance in the form of his partner of three-and-a-half years, Mairi. Added to that, his daughter spent several years studying in Stirling – as did the two sons of supporters’ club founder Rolf Wulff – before working in Edinburgh. 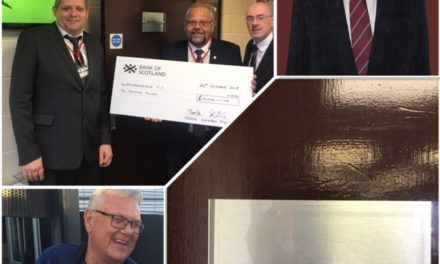 Probably the most obvious example of that financial backing comes in the form of the long-term sponsorship of Ochilview’s main stand, which is now simply known as the Norway Stand. 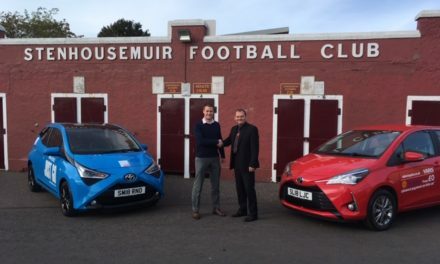 Amounting to around £5,000 per year, this and many other operations at Stenhousemuir – particularly the club’s award-winning community and youth programmes – are helped by the various events organised by and attended by the Norwegians back on home soil in order to raise money, such as parties, nights out and lotteries. Those social activities are replicated when the members return on their regular visits to Scotland. Fittingly, Eriksen’s legacy to Stenhousemuir won’t end there. A trust is being set up in his name by his brother Ivar – who donated a kidney to Terje – and his nephew that will donate £10,000 to further benefit the football club’s young players well into the future. In October, the club honoured him by renaming one of their hospitality suites after him. A significant number of Norwegians travelled specially to Scotland to attend the event, including his partner, Tone. 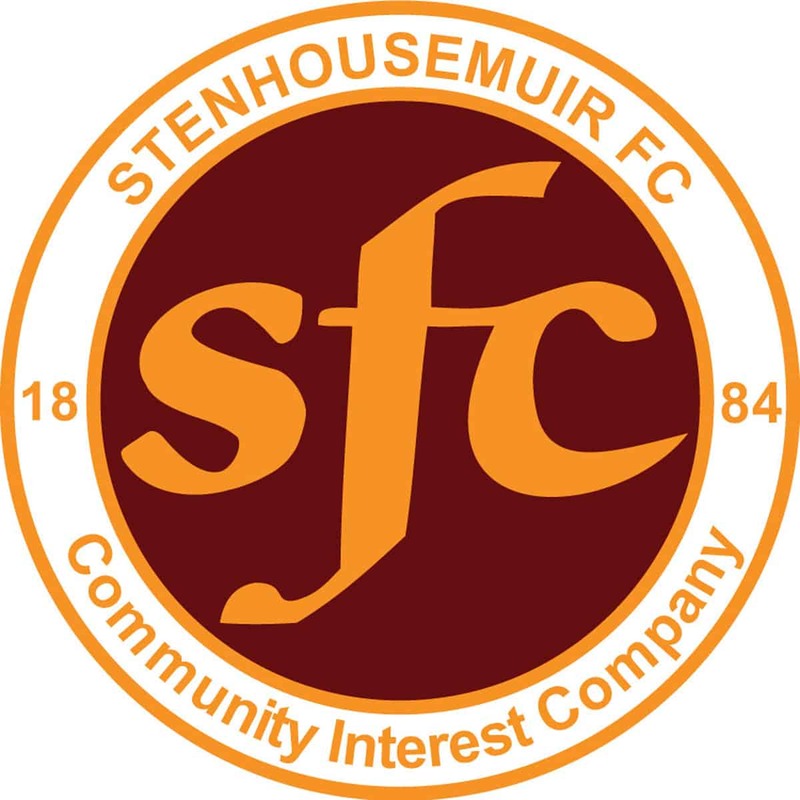 So, what does the future hold for Stenhousemuir’s Norwegian supporters branch given that membership numbers have declined to around 50 – half what they used to be in the group’s heyday? While there are some youngsters already involved – the youngest being 11 – the average age is 53 and by Georg Mathisen’s own admission they don’t promote themselves well enough via social media. However, he gives the impression that this by no means represents an imminent threat to its existence, or the continued close relationship with Stenhousemuir FC and its local supporters. Allied to this, many of the Norwegians happen to be shareholders in the club which – according to Terry Bulloch – defines them as ‘benefactors’ in what is now a Community Interest Company, meaning that no dividends are paid and no single owner can ever get their hands on the club and its facilities and potentially expose it to financial mismanagement, or worse, try and exploit it to turn a quick, unscrupulous buck. That word ‘community’ is important to the people of Stenhousemuir, though they are also rightly proud of their international aspect. The 50 or so Norwegian fans make up the largest entity within a wider group the club has dubbed the ‘Warriors Abroad’ which has pockets of support dotted around the world – particularly in England, Australia, Canada and the US. “If we could get all our overseas supporters to the same game, Ochilview would be filled three times over,” Terry adds, wistfully. They even have the odd celebrity fan, most notably Michael Palin. He has taken in home matches on several occasions and a photograph of him wearing the Stenhousemuir jersey sits proudly in the club’s trophy cabinet. There’s no denying the Norwegians’ fierce dedication to the cause, particularly given the lack of success on the pitch in the 25 years since they formed their club. 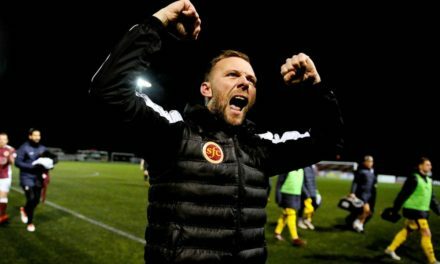 In terms of silverware they still only have that Challenge Cup victory to hark back on, and in the same time period, Stenhousemuir have celebrated just three promotions, all of which have only served to cancel out relegations to the bottom tier. One thing you certainly cannot accuse them of being is gloryhunters. We are not unique in this country in accepting that supporting a football club is about more than simply winning matches and lifting trophies. Mathisen is hopeful but realistic about Stenhousemuir’s future prospects: “The dream is to get into the Championship, but we would need the finances and administration to match the bigger clubs to make that achievable. And a large slice of luck too, of course!